They are all screaming at the top of their lungs. A gargantuan angel with bushy hair and a dark, cavernous throat bellows from a starry sky. A couple of space ships pass in the distance and a few screaming angels flit among the stars. 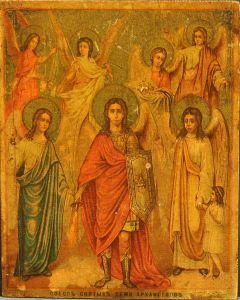 Four other angels hover at the large angel’s feet, with neat rows of white teeth framing their gaping mouths. These angels are playing musical instruments: a violin, a harp, and one angel is hitting a cow bell with a drum stick. The cartoon is the irreverent work of Robert Therrien, aka Bad Bob, who made a name for himself in the 90’s drawing Screaming Man cartoons, which featured a fellow who had consumed five or six too many cups of coffee. This framed cartoon has stood on my desk for over fifteen years. I loved its no-nonsense; just do it approach to prayer. Those ugly hysterical angels seemed to say, “Get over yourself, sweet cakes, and turn to God. Now!” I doubt if Bad Bob of Mad Magazine fame intended such a response. None the less, the cartoon neatly cut through my own (expletive removed) and shifted my focus from my almighty self to One greater and wiser and kinder than I. A few weeks ago my Black Lab, Elijah, named for the Tishbite prophet who bested the prophets of Baal, and heard the still, small voice of God, chewed up Bad Bob’s profane angels. By the time I caught him gnawing on pieces of the wooden frame, he had already eaten one of the smaller angels. I don’t remember what instrument he was playing. I do not think Elijah had a quarrel with the angels or Bad Bob. The satisfying crunch and shred of the wooden frame was his delight. That angel he ate was just an after dinner mint. Once in a while I have the urge to yell at someone, “Pray!” But usually the person already feels tormented, guilty, and vulnerable enough without me adding to his or her pain. How does one enter into relationship with the most high God? We hesitate on the threshold, dilly dallying around reading books and blogs, talking about prayer, and about God, holding opinions about religion and other people’s expressions of faith, all the while avoiding that vulnerable exposure of our raw need to the Holy One, intolerably awesome and other than us. Maybe we need a herd of fierce, raucous, over-caffeinated angels to descend and scare the wits out of us. If not such a rude kick in the seat of the pants, we may need at least someone to take us by the hand and say, “Okay, let’s do it like this. And then sit down with us and pray. Maybe we need someone who will stay with us, as we flail about. Maybe we need someone who will bang a cowbell with a stick, when we start to nod off. Maybe we need someone whose faith, at the moment, is larger than ours, whose belief is deeper, and whose hope is wider. Whether we find such support and compassion with one other person or a hundred, this is what I call church. Bad Bob’s screaming angel appears to have no doubt in our ability to pray or in prayer’s power and effectiveness. Yet the heavenly being, along with the other hosts, has had it up to here with a people, who persist in looking for answers to their troubles only in solutions that amount to the manure of bulls. Come to think of it, I have had it too. Pray! This entry was posted in Contemplation, prayer, Prayer, Spiritual Practices. Bookmark the permalink. 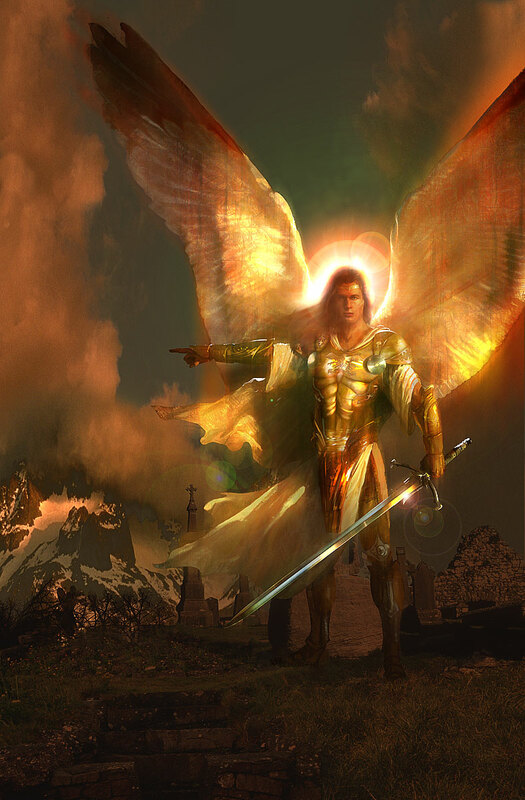 Your angels are righteously large, powerful and kick-behind brave. 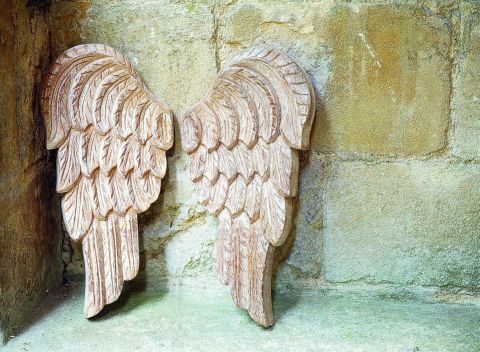 They are my kind of angels too. Precious Moments just does not cut it any more. How did angels ever become wimpy and girly? Ahh, the Rennaissance and Hallmark probably had some input. . . In the Los Angeles area newspapers is a comic strip called Rose is Rose. Rose has a motorcycle mama alter-ego . Pasquale, her little boy, boasts a 50-foot tall Guardian Angel clad with armor, sword, and lazer eyeballs. This angel don’t take no bovine manure from nobody! Thank you for your always provocative posts. I’m inspired to pray more.